Powerful 30Watt warm white LED floodlight COB LED assembly has built in smart IC driver. Size of aluminum base is 40mm x 90mm. 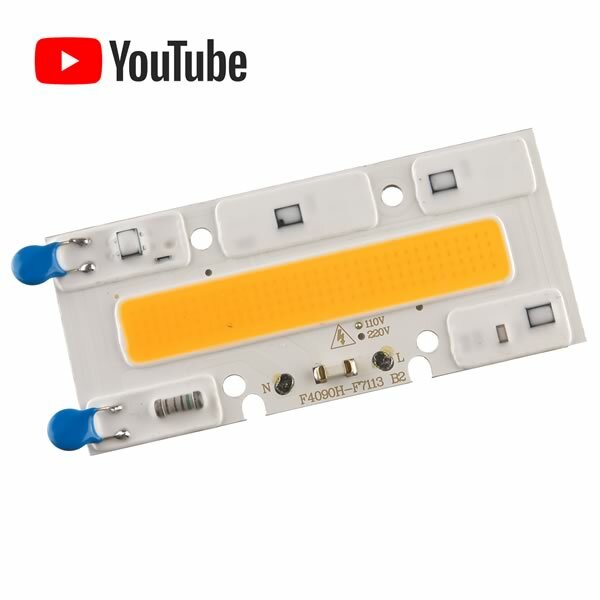 Simply put thermal grease on backside of aluminum base, attach to heatsink or other metal surface, connect 120VAC to the two pads on the front of board and plug into 120VAC outlet. Brand new!